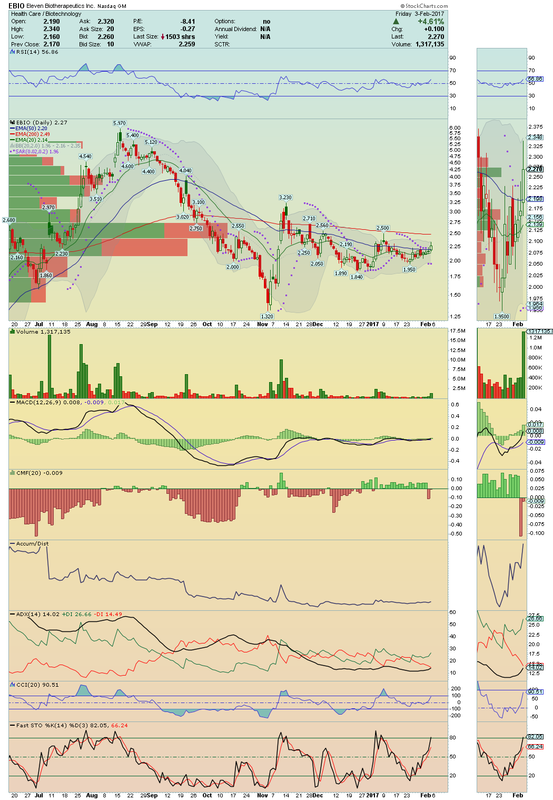 AFMD ---> This stock, with earnings coming in next week, showed High Relative Strength! Trading under heavy Accumulation, it has everything set to make a strong upside movement on the break above its 50EMA! Earnings 08 February! Worth watching. TRIL ---> It has been making a strong recovery since touching the bottom with technical indicators gaining strong Momentum day after day! Watching for continuation and a test to its 50EMA. 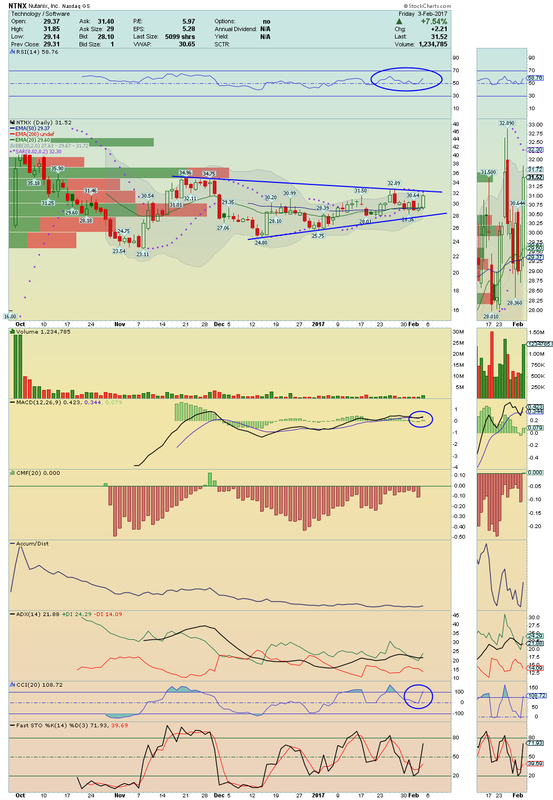 NTNX ---> Monster Breakout to watch in next week!! With 61.51% of Short Float and as it has been trading under high Buying Pressure, we could be on the verge of a strong Short Squeeze! 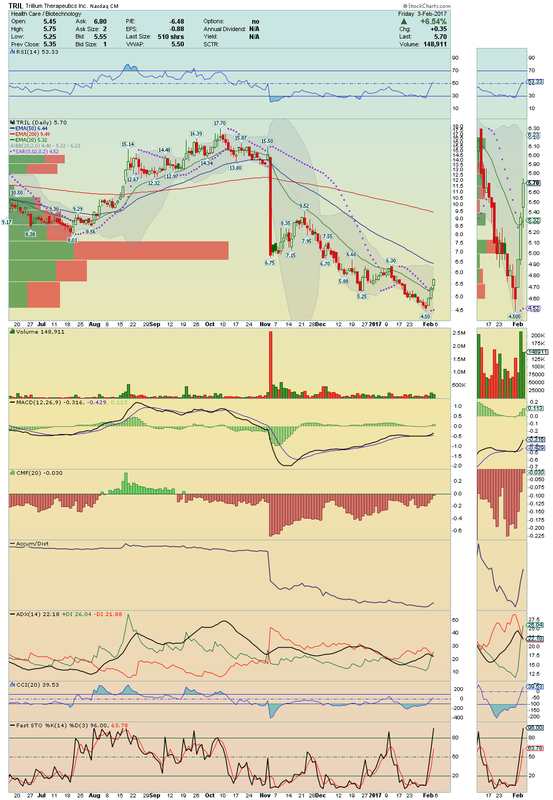 Keep closely over $32.89. 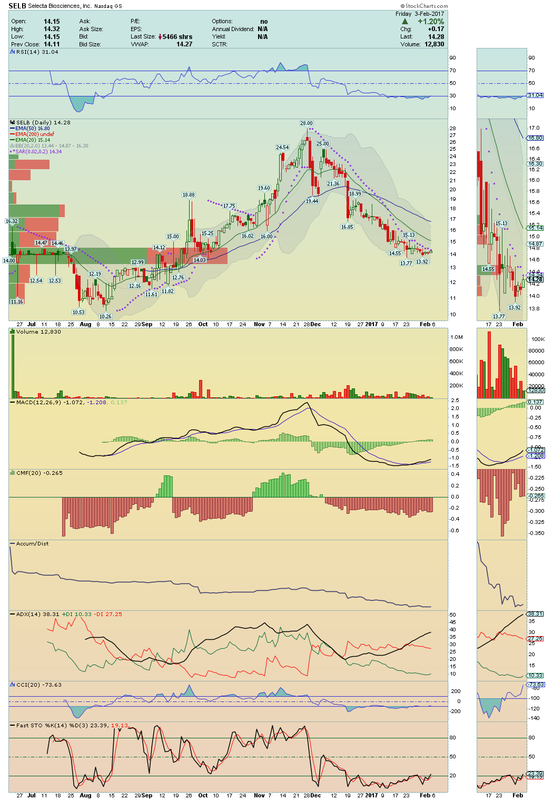 OPXA ---> With price trading steady and Buyers clearly in control, it is setting up for a break above its 50EMA! On volume , it will open the door for a strong squeeze! Stay closely. 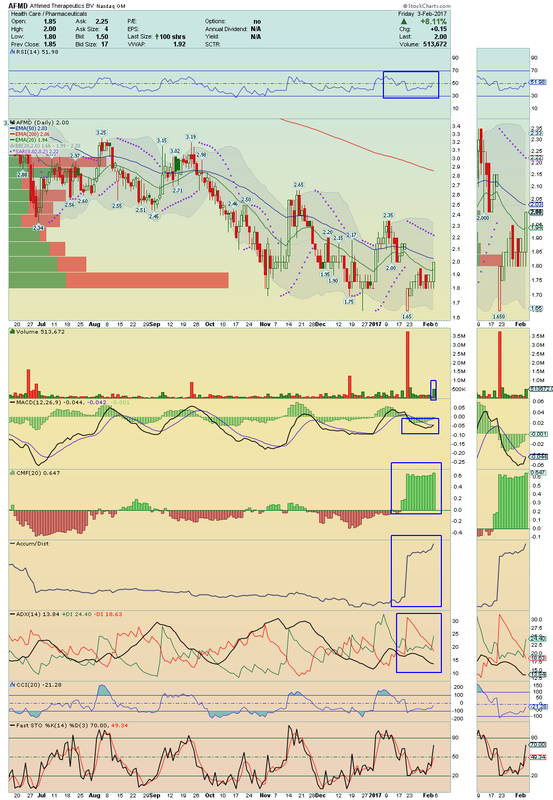 SELB ---> The price is bottoming here with MACD and Fast Stochastic Indicators giving strong Buy Signal! Could bounce hard and a test to its 20EMA could happen already Monday. 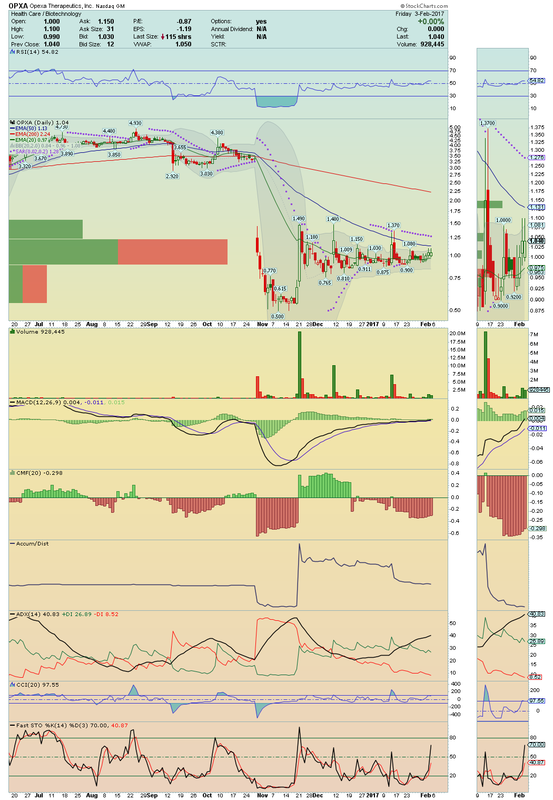 EBIO ---> It made a nice trade session, with price crossed and closed above its 50EMA with high volume and Buying Pressure!! The Momentum is strong and test to its 200EMA looks imminent. 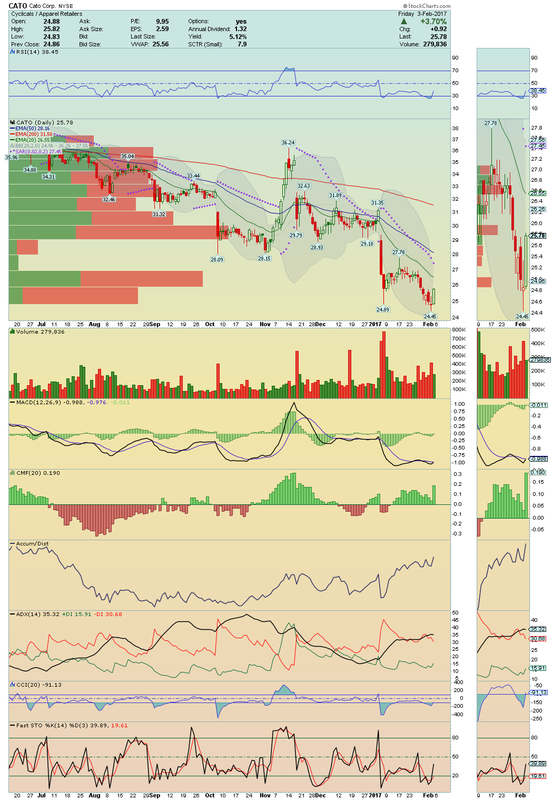 CATO ---> It is a Bottom Bounce with nice positive divergences on chart! 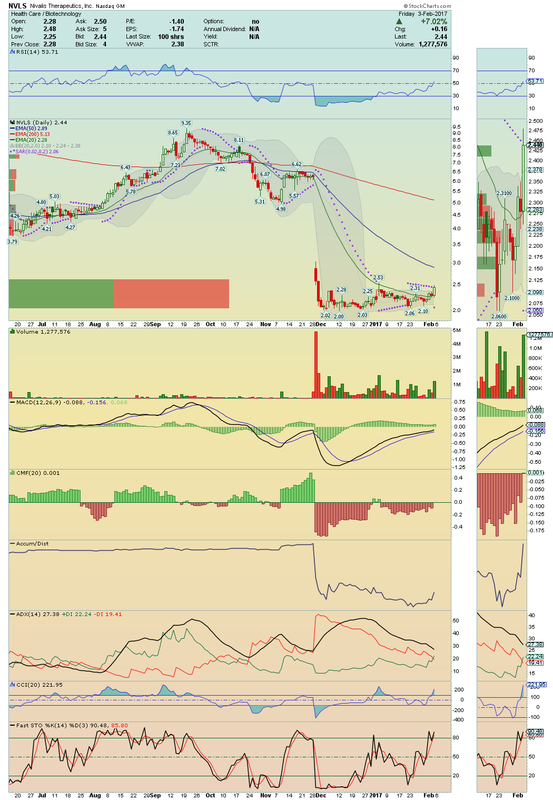 Watching closely for the break above its 20EMA. NVLS ---> Trading under high Accumulation and Buying Pressure, a break now above $2.53 on volume could give us a nice squeeze toward its 50EMA. Lots of Buy Signals on chart. Stay tuned.